There are several things you can do to make certain the individuals who give so generously of their time and talents know their efforts are appreciated. Keep in mind it's the thought that counts, despite whatever budget you're working with. There are many ways you can let your organization's volunteers know you appreciate their efforts and to help them understand just how important their contributions really are. In order to make sure that you recognize the accomplishments of your most consistent volunteers, establish milestones for volunteer service hours and recognize those who contribute the most time to your agency. Keep track of the hours volunteers share with your organization and respond with a formal acknowledgement each time a new milestone is reached. 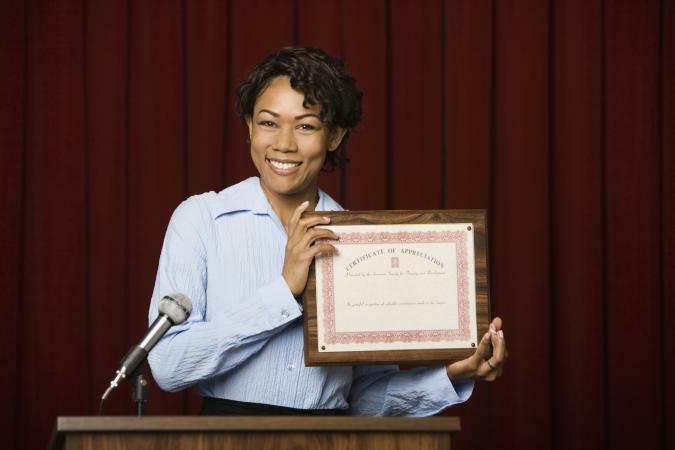 You can do so with a tangible award, such as a certificate, plaque, or novelty item, and mention each new accomplishment in the organization's newsletter or other internal and external communication materials. In addition to recognizing volunteers for the hours that they work, you can also implement a formal rewards program for outstanding contributions. Think about the types of accomplishments you'd like to reinforce and implement recognition programs to show your appreciation. For example, let volunteers know that new ideas are appreciated, as well as service on committees, identification of new funding sources, and other contributions. 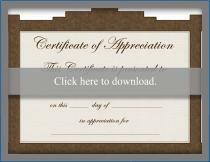 Recognize your volunteers with these printable certificates of appreciation. Present your volunteers with a signed certificate in a nice frame as a way to say you really appreciate them. To download, click on the image. If you need help, see this helpful guide. Showcase the work of your volunteers for all to see every day with a visual display such as a Wall of Fame at your office or program space. Give each volunteer a star that includes their picture, length of service, and strengths as a volunteer. If you have a bigger budget to work with, consider creating a plaque for each volunteer so the display looks more formal and permanent. Consider setting aside a column in your newsletter or on your website to spotlight an outstanding volunteer. Set up a formal nomination procedure for determining who is featured in the column at any given time and update it on a regular basis. Depending on the size of your organization, you may want to feature a different volunteer every week, month, or quarter. Many organizations hold a quarterly or annual luncheon or reception that all active volunteers are invited to attend. Awards and recognition for outstanding achievements and service hours are often presented at these types of events. No matter your budget, you can host an appreciation event or seek sponsors to help foot the bill. High budget - Host an evening dinner where each volunteer is encouraged to invite family members at a restaurant or event center. Moderate budget - Organize a "happy hour" event with limited drinks and appetizers after work. Low budget - Recognize volunteers at a small in-house ceremony or mixer with light refreshments such as cookies and juice. No budget - Create an event on Facebook or another social media platform where employees can post comments and appreciative quotes throughout the day. 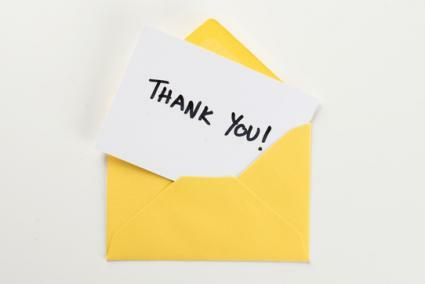 One of the most simple and inexpensive, yet often overlooked, ways to express appreciation to volunteers is with personal thank you notes. Hand written thank you notes can be a meaningful way to let volunteers know their efforts are truly appreciated. Make sure the notes are personalized and express sincere thanks for time contributed and a job well done. If you send notes that seem like form letters, your efforts can actually backfire. Employees or directors can take turns trading places with volunteers for one whole day. Choose a volunteer and give them the opportunity to enjoy a day off or experience your organization's services as a patron. You'll gain a better understanding of how volunteers feel and what they do while volunteers get the chance to receive services or take a break. If your charitable organization depends on the continued support of volunteers to meet its mission, you are not alone. Most nonprofits rely heavily on the efforts of individuals who donate their time. It's important to keep in mind volunteers are under no obligation to continue sharing their time and talents. They continue to participate because they want to do so and because they know their efforts are appreciated. That's why being proactive in seeking out and implementing volunteer appreciation ideas is so important. When you run a nonprofit organization, it's important to take steps to keep the volunteers you have and encourage others to share their talents with your agency. Using creative and effective volunteer appreciation ideas is an integral part of any volunteer retention program.